The UEFA Champions League returns this week, and one of the biggest games to look forward to is the Juventus vs Atletico Madrid match. When both clubs face off on Tuesday, only one would have the opportunity to progress to the quarter-final of the competition. As it stands, Atletico Madrid hold a healthy advantage, having defeated the Old Lady 2-0 at home in the first leg. Late goals from Jose Jimenez and Diego Godin were enough to hand Diego Simeone’s men a morale-boosting win at the Wanda Metropolitano. 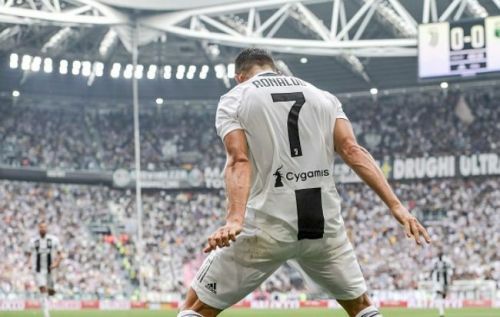 However, the Spanish side will now have to finish what they started when they travel to Turin to face Juventus on Tuesday night. 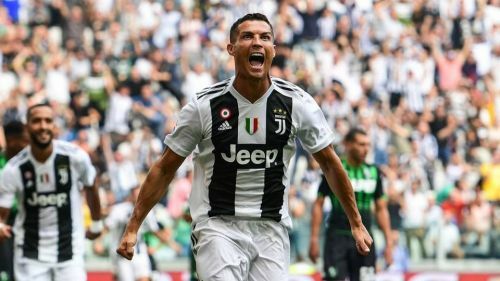 The Serie A champions boast an impeccable home record and, with Cristiano Ronaldo in their ranks, they possess the necessary tools to overturn the 2-0 deficit. Playing against Atletico Madrid is never an easy task and Max Allegri’s men would have to play above themselves to have any chance. But the task is not impossible, especially if Ronaldo rises to the occasion. One of the main reasons why Atletico Madrid must be wary of Cristiano Ronaldo is that he boasts a very impressive goal record against the club. Despite the Rojiblancos being built on a solid defensive unit, the Portuguese is one of few players who have often breached their defense with ease. Ronaldo faced Atletico Madrid many times while with Real Madrid and often ended up on the winning side. In all, the 34-year-old played 30 times against Diego Simeone’s side, scoring 22 goals and assisting a further eight times in all competitions. The Portuguese also scored against Atletico Madrid in both the 2014 and 2016 Champions League finals. The statistics seem to buttress the point that Ronaldo is the nemesis of the Spanish side. Tuesday’s clash will be tricky, but if there is any player who can unlock that Atletico defense, it is definitely Ronaldo. He has always found a way past Diego Godin and his colleagues at the back and the same could happen on Tuesday, even if he is in a Juventus shirt this time.